For us, Healthy Paws isn't just a business venture. First and foremost, we're pet-lovers and it's our commitment to pet health that keeps us working hard to make sure pet parents can afford the best care for their four-legged family members. Everything we do is driven from this love of animals and our passion to assure a better life for all animals. Healthy Paws began not just to help pet parents handle the expense of pets’ medical treatments, but also to help animal rescue organizations care for the many sick pets that come into their care. Over six million dogs and cats enter the US animal shelter system every year1 and many of these homeless pets need critical treatment to survive and have a chance at getting adopted. So, with the goal of helping these animals, the Healthy Paws Foundation was started in 2009 and it has helped hundreds of pet rescues and animal shelters by providing grants to help fund medicine, food, shelter, and operating costs. Through our Every Quote Gives Hope™ grant program, the foundation has donated over $599,000 to deserving shelters and rescues. The Healthy Paws Foundation is a critical part of Healthy Paws’ core and everything we do is driven by our compassion to help animals; adopted and homeless. Our Every Quote Gives Hope™ program, where the simple act of getting a free pet insurance quote from Healthy Paws results in a donation towards a homeless pet's medical care, addresses the fundamental need of pet medical care. We deliver that care by making cash grants to pet adoption organizations specifically for life-saving vaccines, spay/neuter surgeries, and advanced medical treatments. With every free quote, you give medical care to a homeless pet in need. And with your enrollment, you join the movement to help millions of homeless pets have a happier, healthier tomorrow! The Healthy Paws Rescue Race is a charitable initiative that supports multiple nonprofit organizations who help homeless pets, funded by our foundation. We invite several organizations to participate, and after an online "race" over two weeks, we award grants to the participating organizations that range from $5,000 to $20,000 based on their number of votes ($70,000 total per race) – so everyone’s a winner! You can learn more about the Rescue Race here and about our previous winners here. Pawsitive Alliance is a non-profit organization dedicated to ending pet homelessness in Healthy Paws’ home state of Washington. 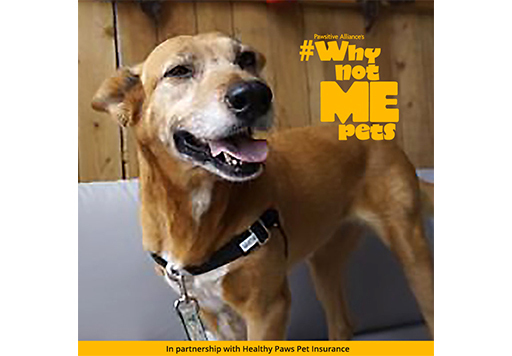 The Healthy Paws Foundation has provided $50,000 in funds for the nonprofit’s #WhyNotMePets Campaign that focuses on hard-to-home pets. Whether they are senior, long-term shelter residents, or one of the harder-to-home "restricted" breeds, these animals need extra help in finding their forever home. Healthy Paws first recognized the nonprofit in 2017, contributing with funds as well as adoption efforts with weekly articles on the blog and targeted social media posts. When you refer your friends to Healthy Paws, you’ll also help homeless pets. With every completed referral, we’ll donate $25 on your behalf to a non-profit animal rescue or shelter across North America. To learn more and participate in the program, please visit our Refer a Friend page. We'll gladly accept your nomination of deserving shelters and rescues and will add them to our list of organizations to vet and consider for future grants. We vet every organization to make sure that they’re a non-profit as well as a no-kill shelter. To nominate an organization, please email HelpPets@HealthyPaws.com with their website address and contact information for that organization. The Healthy Paws Foundation has donated over $599,000 in grants to more than 225 non-profit organizations as of December 2018. For full transparency, we keep a list of all organizations who’ve received funds from us and it’s available here. Of the 6 million+ companion animals that enter U.S. animal shelters every year, approximately 3.2 million shelter animals are adopted but, sadly, about 1.5 million animals are euthanized2. Although some are euthanized because of age, medical conditions, or behavioral issues that make them unsuitable for adoption, a large portion were adoption ready. If you’re looking to add a four-legged friend to the family, you may have already made up your mind to adopt or rescue a pet from a shelter. If not, you may be wondering – should I adopt a shelter pet? Here are some of the most popular myths about shelter pets that may help you make up your mind. MYTH: I want a purebred and you can’t find that at a shelter. FACT: According to the Humane Society, nearly a quarter of the dog population in shelters are pure breeds rather than mixed breeds. Some of these dogs are rescued from inhumane breeding facilities or “puppy mills”, whereas others have been surrendered by their families. Additionally, purebred cats can end up in shelters as well. Call your local rescue shelters to ask about the frequency they see the breed you are interested in. Many shelters also have Facebook pages which you can follow to get updates on new arrivals. There are also many rescue organizations who focus on specific breeds. MYTH: The staff will try to push a problem pet on you. FACT: The staff at your local shelter is not interested in sending you home with an animal who won’t work for your family or lifestyle. In fact, the opposite is true. The staff wants to help you find the right dog or cat for you, even if that means there are no good suiters on the day you happen to show up. They are well aware that the return rates for adopted animals from a shelter are already too high. Also, sending a pet out to multiple homes is not ideal for the dog or cat who may already be unsettled by their experience with homelessness. Programs such as the ASPCA’s Meet Your Match, that train staff to help folks identify the companion of their dreams, have become popular employee training protocols in national shelters. This program has been shown to reduce returns by 35.7% and increase adoptions by 14.7%. You can expect to engage with folks at the shelter that are invested in the success of your adoption when you visit your local shelter. MYTH: The shelter is full of "bad" dogs and mean cats. FACT: "Problem" pets can indicate ignorant or irresponsible owners. Studies have shown that among the many reasons why people relinquish pets to shelters, the knowledge of the owner is one important predictor. That is, people who take the time to learn basic training techniques are less likely to find themselves rehoming a dog. Among the dogs in the shelter system that were given up for “behavioral problems”, we don’t know how many were simply living with an inexperienced person who, later blamed the dog for behavioral issues. The people-problem aspect of successfully rehoming dogs has become a focus of many in-house training programs that help dogs pick up vital housetraining and basic manners before leaving the shelter. In other cases, some local shelters have basic training classes available for free or at a very low cost to help new pet owners gain the skills to best serve their new companion. Contact your local shelter to find out if there are community training resources available to you! With cats, remember that many are scared and knowing their former life will be helpful. If they’ve been abused or neglected, you will have to invest time in gaining trust and love with your new furry friend. If you’re not willing to overcome hurdles that can sometimes exist with older cats, perhaps adopting a kitten might be right for you instead. MYTH: Dogs adopted from shelters are aggressive. FACT: Behavioral testing is common before releasing pets for adoption. Many shelters perform behavioral testing before releasing the dogs in their care for adoption. Such programs help the staff become aware of potential problems, particularly those that might result in an unsuccessful adoption. These assessments typically focus on factors such as fear, reactivity and potential for resource guarding or aggression. You can ask your local shelter if they perform such testing. If they do, then you can find out the results for any potential adoptee before you make the decision to take them home. Keep in mind that the findings may be triggered by the stressful conditions of the shelter itself. For example, many dogs show food guarding behaviors while in a kennel full of stressed out dogs, but then may show no such behavior when they feel safe in their own home. 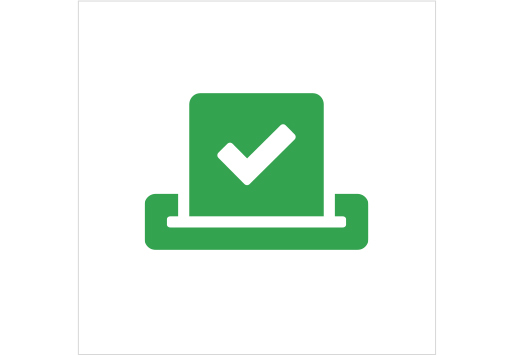 More often than not, such tests might identify areas for work that are not necessarily deal breakers for you. For instance, some dogs display sensitivity to new environments, but that does not necessarily translate to an aggressive or problem dog. MYTH: Mixed breed dogs from shelters are more likely to have health problems than purebred dogs. FACT: Purebred dogs are more likely to suffer from difficult to treat genetic conditions. There is a misconception out there that shelter dogs are more prone to be sick or have more medical problems than purebred dogs. This is just not true! While responsible breeding can mitigate purebred medical issues to a degree, you must do your research, and be prepared that these pups can be very expensive. Make sure you are not buying from a profit-motivated seller less concerned with the long-term health of their puppies’ bloodline. Second, you could buy a purebred puppy that was born in a puppy mill with little to no regard to health problems or safe conditions (which the puppies require to thrive). Puppy mills have been routinely proven to have much lower standards of care, resulting in preventable sickness and injury, among a myriad of other abuses. Third, although there is not a ton of data either way on the subject, there is some evidence to suggest that mixed breed dogs have some health advantages, particularly concerning several congenital health problems that often do not show up until two years of age or more. Fourth, although regulation is often left to individual shelters, the fact is that due to pet overpopulation, shelters are sometimes forced to select animals for euthanasia. Known medical problems make dogs much less adoptable. Often out of a need to make room or due to budgetary restraints, such special needs dogs are the first selected for euthanasia. If a dog was relinquished for health problems by their owner, and the shelter decides to give that dog a chance, then they will share that information with you to make sure that you are prepared to handle the time and cost investment of a known medical problem. Once again, shelter staff are concerned with finding the right forever home for the dogs in their care. MYTH: You know what you are getting with a purebred. Adopting a dog from the shelter is a crapshoot. FACT: How we train and socialize our canine companions has a huge effect on overall temperament – purebred or not. Remember that while breed type can be a predictor of certain tendencies (ball drive, prey drive, pack drive), it won’t guarantee you a balanced dog. Only love, proper training, and care can give you the best odds of that. Take your time at the shelter and ask to play with or walk the dog you are most interested in. Give them a chance to show you who they are and see if you build a connection. If you need to, go home and think about the choice, then return the next day. The fact is that every animal we bring into our lives brings an element of chance, with little advantage going to those that are knowledgeable about the emotional signals that dogs use to communicate. When you find a good fit, invest in some basic training classes to give yourselves the best shot at a happy fur-ever home. MYTH: All shelter animals need professional rehabilitation. FACT: Many dogs at the shelter come with basic housetraining and doggy manners that they learned in their previous home. Many cats are simply looking for a new home, and aren’t necessarily feral or sick. In fact, one of the great benefits of adopting an adult shelter pet is that many already have the groundwork training for life with people. Since many animals are surrendered due to factors like sudden loss in the family, moving, financial hardship and other reasons completely unrelated to behavior, you may find that an adult shelter animal is much less work than starting with a puppy or kitten. Senior dogs and cats are also often overlooked, but many older pets rank lowest on the scale of maintenance. They already know the ropes, they have lower exercise needs, and often just want to enjoy your company and affection more than anything else! If your primary concern is finding a pet who is house-ready, then make that priority clear with shelter staff who will make sure you find a good fit! MYTH: Adoption fees are too high at shelters. FACT: Adoption fees offer an extraordinary value. People are sometimes shocked to find out that you will have to pay a fee at most animal shelters before taking your new pet home. Sometimes they might think “Wait a minute! You got this animal for free so why are you charging me to take it off your hands?” This way of thinking ignores both the costs of housing animals as well as their medical care. All of these services are recouped in the standard adoption fee, but at a fraction of what you would have to pay most veterinarians. In fact, adopting a pet at a shelter is a net financial gain for most responsible pet parents in terms of the cost of care. Hopefully these above facts will help you not only rescue an animal, but also help combat animal cruelty, neglect and pet overpopulation. In return, get ready to receive unconditional love from someone who will be forever thankful that you saved their life. The Healthy Paws Foundation is dedicated to helping homeless pets and gives grants to non-profit organizations that help pets in need. Our funds go directly to medical care, food and shelter, and operational costs. We give grants to non-profit organizations across United States who help homeless pets. For example, the Healthy Paws Rescue Race happens three times a year and gives away a total of $70,000 in grants to six non-profit organizations. We also try to help local shelters in areas of natural catastrophe such as during Hurricane Harvey or the California wildfires. You find a complete list of organizations the Healthy Paws Foundation has donated to here. We vet every organization to make sure they’re a nonprofit organization as well as a no-kill shelter in United States. Yes! 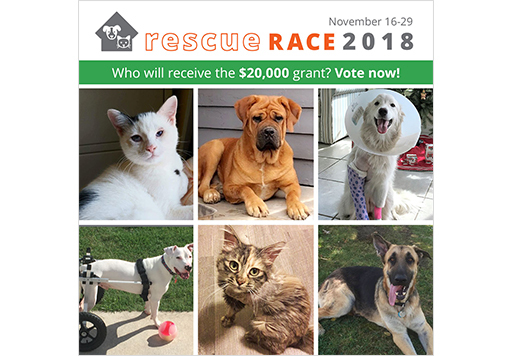 We accept nominations for our Rescue Race which is ran multiple times a year as well as nominations of organizations to receive funds from our Refer a Friend program. To submit a nomination, you can email the foundation at HelpPets@HealthyPaws.com. You can email the foundation at HelpPets@HealthyPaws.com. 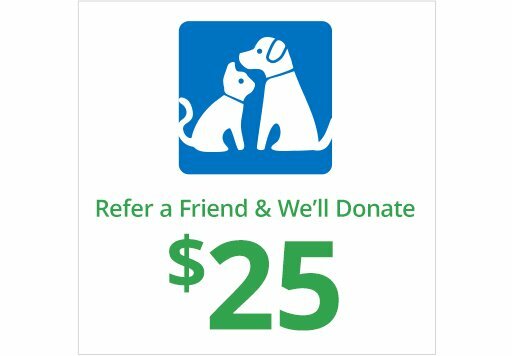 Tell your friends about Healthy Paws by participating in our Refer a Friend program where every completed referral result in a $25 donation on your behalf to help homeless pets through the Healthy Paws Foundation. You can also nominate your favorite pet rescue or shelter by emailing HelpPets@HealthyPaws.com.